I hope the bird looked both ways before going out into the street! I've never seen a finch in the street, quite a rare thing I think. Thankfully, "mine" :) stick to the yard and my feeder. We often see birds there! It seems so silly! I am always finding birds standing in the street. I wonder what the attraction is? 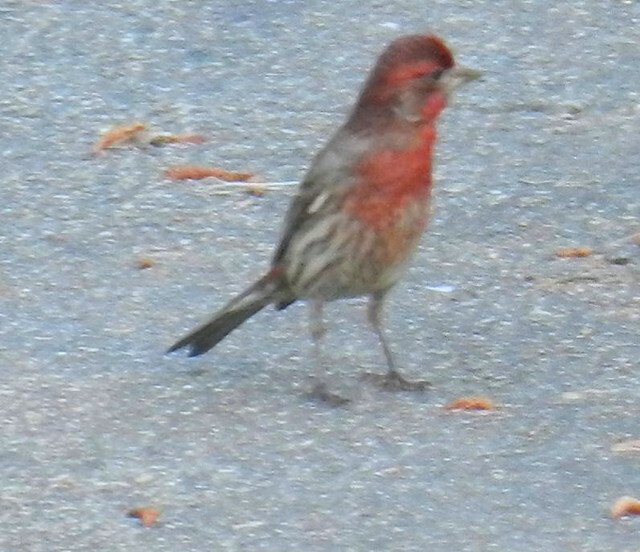 Pretty house finch! It's always nice to see a house finch and I hope this one made it out of the road safely. It looks kind of lost. Silly little bird! At least his color may cause drivers to stop.